Writer/producer/director Dean Devlin should know a thing or two about disaster. 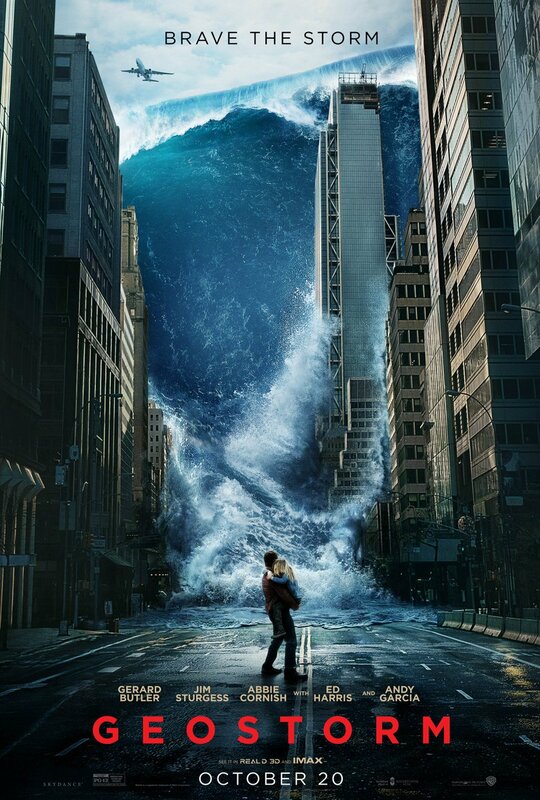 After all, his creative partner used to Roland Emmerich and together they gave the world Independence Day, with Emmerich subsequently also unleashing The Day After Tomorrow and 2012 into the Disaster Movie genre. Here, making his directorial debut, Devlin clearly aspires to all of those movies. And falls way short. And then there’s the weather! And the timing! Who wants to go and see tens of millions of dollars worth of CGI earthly destruction by wind, water, ice and fire when you can just turn on the Weather Channel any time in the last few weeks and see it all for real from the comfort of your own home (if the power’s still on)? Anyway, - and we’ll keep this short and as non-convoluted as we can - in the not too distant future, global warming has got out of hand (see Donald – now that it’s in a film, maybe you’ll believe it), and Gerry invents a spacey satellite thingy that controls all the world’s weather – and then someone takes control of it and tries to destroy the world. We then cut to the travelogue bits as Hong Kong, the Afghanistan desert, Tokyo, Miami, Rio and more either get hit by hurricanes, ice, fire or flooding – all CGI overload and all, more or less, already seen in the trailer. (Yes, the money shots have all been spent.) There’s some nonsense with the President as well – but don’t bother yourselves. Geostorm could’ve been fun. Hell, we would have settled for “so bad, it’s good.” But it none of the above. It is basic, derivative, rudimentary, full of one dimensional characters that are impossible to even vaguely care about, and, more than anything, just no fun. Far more a disaster than a disaster movie.